By now pretty much everyone has already started school and has all the basic school supplies they need. 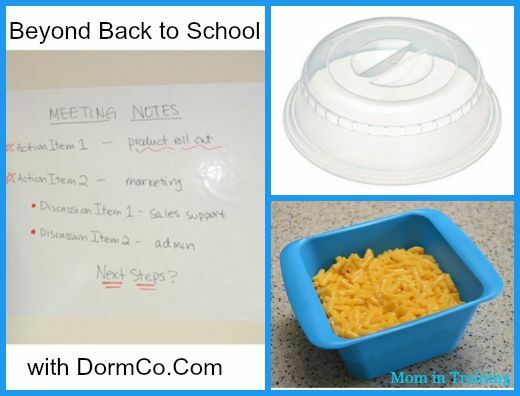 But did you know when you shop DormCo.com you can find Back to school supplies that are perfect for after school too! Back to school isn't all about paper, pencils, and those types of supplies you still need things at home and in the dorm to finish off your day. They have some awesome and useful products that are what I like to refer to as "Beyond Back to School" necessities. One of those things is the Wizard Wall - Dry Erase. I think they call it wizard because it's like magic how it just clings to the wall. No need for nails, screws, or sticky tape! I honestly don't know how they do it, but I love it just the same. I was able to hang the one I got in our kitchen so my daughter could use it to practice math facts and to write reminders for the upcoming week. It's great having a space that we can use over and over again and not have to do any major construction hang it up. Perfect for college students too because they don't have to worry about damaging walls in their dorms or rented apartments. Another great product that this mom really loves is the Plate Food Cover. If you've ever had to try to clean out a microwave after food has splattered and dried on it you'll understand where I'm coming from. With this handy cover the splatters stay contained so there's no more messes all over the inside of your microwave! 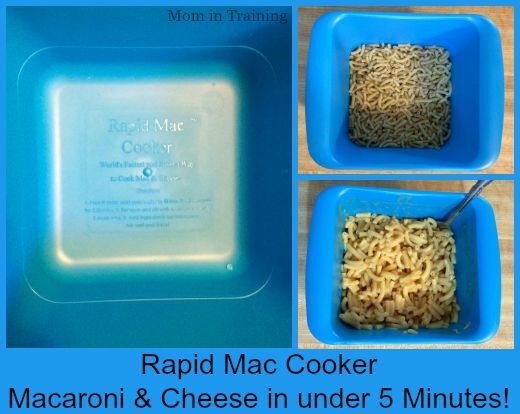 And finally is the Rapid Mac Cooker and I have to say after using it a few times I am in love with it. There are days where we don't all have time to eat dinner together and this is perfect for when just one person needs a quick meal. It would also be great for college students that don't want leftovers hanging around. In less than 5 minutes you can make an entire box of Mac & Cheese in the microwave and it's so simple even my daughter that's 9 was able to do it on her own. I will note you may need to adjust the cook time if you have a larger high watt microwave. I had to decrease our cook time by 30 seconds. You can purchase these and so many more great products through the DormCo.com website form the comfort of your favorite chair! I've already started a wish list of products I'm hoping to get for Christmas!